Altimeter Group defines digital transformation as “The realignment of, or new investment in, technology and business models to more effectively engage digital customers at every touch point in the customer experience lifecycle". Two words are key here: ‘technology’ – the realm of the CIO – and ‘customer’ – the realm of the CMO. It’s clear that digitisation is blurring the lines between marketing and IT, and as a result, two departments that have previously had very little to do with each other are both being asked to spearhead change to transition their organisations from traditional models into digital-first, customer-centric businesses. According to a 2014 survey conducted by Forrester and Heidrick and Struggles, 62 per cent of CMOs globally believe the CIO is a strategic partner in meeting corporate goals, yet only 29 per cent collaborate with their IT counterpart when procuring marketing technology, and less than half share a common vision of how IT and marketing should work together. Accenture found similar results in a survey it carried out last year, in which nine in 10 marketing and IT executives stated that collaboration between their two functions is poor, despite the need to join forces in the digital age. This lack of alignment between the marketing and IT functions is having serious implications for the bottom line. 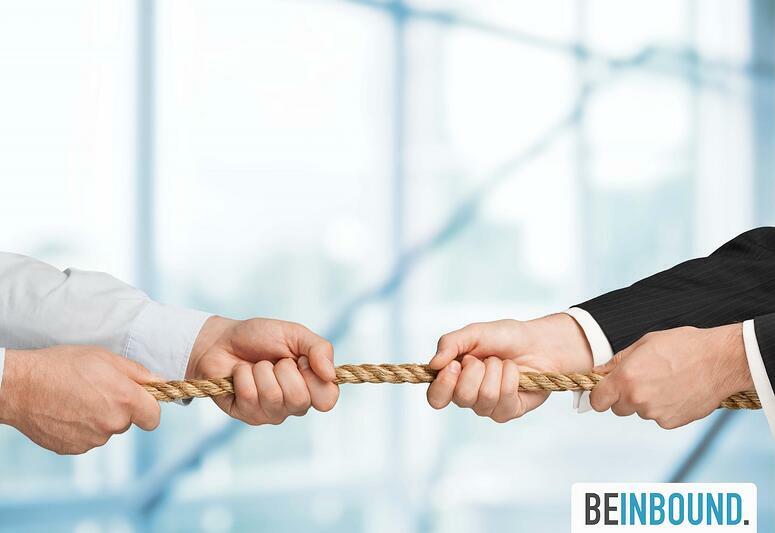 A recent Information Age article explains that a lack of CMO-CIO alignment is threatening to stagnate digital transformation in many organisations, as the overlapping of responsibilities causes internal friction. Common areas of conflict include data and project management, lack of communication and collaboration, a misalignment of priorities, and different delivery timelines. The key to forging a strong relationship with the CIO is to unite around a common goal – to deliver a seamless and engaging customer experience – something that both teams possess the specialist skills and abilities to make a reality. IT brings an innovative vision for what’s technically possible and desirable in the future, while marketing brings insights from customer needs and experiences, and creates a brand these customers can relate to and engage with. By focusing on the customer, these two leaders have the potential to form a very powerful partnership. A recent article in CMO Magazine even goes as far as to claim that the two disciplines are becoming synonymous due to a rising demand for real-time customer engagement. It stresses the importance of the CMO-CIO relationship: “Marketing and technology are blurring and the relationship between the CMO and CIO is increasingly vital to addressing the modern data and digital customer challenge”. To achieve constructive collaboration however, clarity is essential around responsibilities and areas of focus. CIOs are critical players at the infrastructure and platform level, and marketers own services and applications alongside their strategic IT partners. However, as marketing assumes part of the technology budget in many organisations, there’s a tendency for CMOs to bypass IT in the procurement of software and applications. It’s important that CMOs recognise the value that CIOs bring to the table, and accept them as strategic partners in the digitisation process, not just as platform providers. Director of Marketing at Deakin University, Trisca Scott-Branagan, told CMO Magazine, “We need to respect the wisdom IT has gained, and to respect some of the policies and procedures we sometimes what to leapfrog over”. She added, “As marketers, if we don’t position ourselves as peers to the technology conversation, we’re doing ourselves a disservice”. As the lines between marketing and IT blur, the relationship between the CMO and CIO is becoming increasingly vital to addressing the modern data and digital customer challenge. The most successful CMOs will be those who have a collaborative relationship with the CIO (even if there’s some friendly tension!). For this to happen however, there needs to be guiding principles on the roles and accountability of marketing and IT. Only then can the two departments jointly execute a shared digital vision. With the move towards digital, it's critical for today's CMOs to have an understanding of marketing analytics in order to demonstrate the effectiveness of strategies and campaigns to business leaders. Download our complimentary eBook below for a guide to measuring marketing ROI.